Based on unbelievable actual events, and brought to you by filmmaker T.C. Christensen (Praise to the Man, The Work and the Glory), 17 Miracles will open your eyes to the stories of the Mormon Pioneers as you have never seen them before. Something extraordinary is about to happen. T.C. Christensen is one of the brilliant minds behind the camera when it comes to these family favorites: 17 Miracles (Excel Entertainment); Emma Smith: My Story (Morning Dew); Joseph Smith: Prophet of the Restoration (LDS Church); Testaments (LDS Church); The Work & the Glory (Manchester Pictures); Forever Strong (Go Films); Sea Monsters (National Geographic); Roving Mars (Disney); The Buttercreme Gang (Family Films); Rigoletto (Family Films); The Mouths of Babes (LDS Church); Finding Faith in Christ (LDS Church); Treasure in Heaven: The John Tanner Story (LDS Church); Only a Stonecutter (LDS Church). This is a very wonderful movie, it helped me to understand better what the early saints went throu. I am very greatful that i didn't have to go throu any of the things they did. A great movie for any home library. I stumbled upon this movie 'accidentally' last night while flipping through the channels on my tv. I am not a Mormon and never watch BYU tv but something about this movie caught my eye and I started to watch it. I just want to say I am still thinking about this movie today, it made that much of an impression on me. I was enthralled with the story and could not stop watching it, there was something more than a movie going on here is all I can say. It's one of the most profoundly moving and life changing movies I have ever seen, I feel like I was there with the pioneers pulling the handcarts. Wow. I also felt the strength of their faith and the final words of one of the women 'It will all be worthwhile if my posterity keeps the faith' really touched my heart. 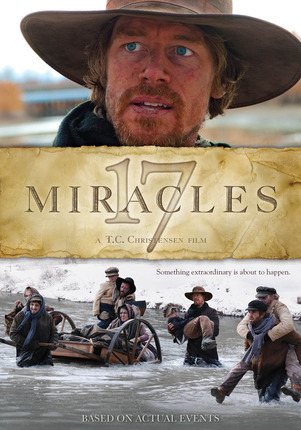 "17 Miracles" does a great job in capturing the hardship and motivations of the pioneers as they travel to find Zion. It succeeds in keeping audiences invested in all the stories of those traveling in the Wagon Train. As I watched it I felt for all the characters as I sat watching with my family. The cast and crew did a fantastic job creating this film. 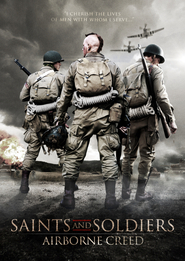 I would recommend this film to anyone who wants to know the struggle of the early Later Day Saint Members. 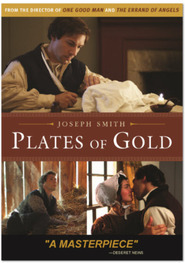 The Mormon Handcart story of 17 Miracles deserves an Academy Award, for cinematography, for best screenplay, for editing, and for best acting by many of the cast who didn't have to act because the role they played was more real than life. My daughter and I had minor parts in filming 17 Miracles. We played the part of a father and daughter that buried my daughter's dead baby in a shallow grave in the snow. For whatever reason, God only knows, it was not acting, but was an out of the body, beyond the veil experience where we literally became the handcart father and daughter. Only one other time in my life have I experienced anything so "real". When I placed the dead baby in the grave and cried out to God, words came out of me that I had never heard before, never even thought of before, because I was another man in another time burying a dead grandchild in a grave that we would have to leave forever. Most of our life, in fact all of our life, "We see through a glass darkly," if we see at all. (Brigham Young once said that his greatest wish for the Saints was that they would be able to see things as they really are.) While we were filming, the veil was parted for us, and for a short period of time, we saw and experienced things as they really were for the handcart pioneers. It seemed that we could see, experience, and live in, the past present and future all at the same time. It was so hard for my daughter and I to leave her dead baby in the snow, even after the filming was done. Neither of us has ever wept like that, even over the death of a loved one in this life. I hope this will communicate on film and will be as "real" for those who see 17 Miracles. Others actors in the film, I am certain, had the same "out of the body through the veil experience." We didn't have to act because we literally lived the part. When the handcarts crossed the icy river, I believe some of the cast would have died, had they not been able to get out of their wet clothes and get warm. The miracles shown in the film were true. I met a lady who was a direct descendant of the girl (who must have married after she got to Salt Lake) that left her fiance's body wrapped in her shawl in a tree; so the wolves wouldn't get it. It is as innocent and touching a love story as you will find in any film. The husband, of the woman who was a descendant of the above girl, was a direct descendant of Francis Webster a member of the Martin Handcart Company who said, "Mistake to send the Handcart Company out so late in the season? Yes! But I was in that company and my wife was in it....We suffered beyond anything you can imagine and many died of exposure and starvation, but did you ever hear a survivor of that company utter a word of criticism? Every one of us came through with the absolute knowledge that God lives for we became acquainted with Him in our extremities!" Henry and his two sons, James and John, crossed the ocean on the Empire ship and on June 6, 1860, he left Florence, Neb., with a company of over 200 people to go to Utah. Only six of these people were fortunate enough to have wagons with oxen to pull them. Henry and the boys were thankful to have one of the 43 handcarts in company. Everything they owned was packed in the cart. All the food, dishes, clothing and bedding for all three of them was in their two-wheeled handcart. They knew they would have to walk and pull the cart over trails, up hills and down, hundreds of miles to Utah. They had not gone very far when Henry became ill. He was so sick that Captain Robinson thought it would be best if Henry and his sons went back to Nebraska. How disappointed Henry was! He begged the captain to let him stay with the company one more day to see if he would not get better. More than anything else in the world, he wanted to be able to pull his cart and go on with the others. That night Henry prayed and explained just how much he wanted to be able to go on. He asked the Lord to help him get to Utah. The next morning he was much better. He traveled along trying to help James and John with the handcart. When it was time to camp that evening, Henry was very tired, but he was grateful that he had been well enough to keep going with the company. The pioneers took their things out of their carts. Each person had work to do. They started fires and cooked something to eat. They made their beds on the ground so they could rest and be ready to go on again. The boys worked; Henry rested. That night a large greyhound dog came into camp. It ran from one group to another until it came to the little camp Henry and his boys had made. After it sniffed around, it lay down and seemed to be at home. The boys were delighted. They talked to it and petted it. No pets were allowed in the company. Food was too scarce to give to animals that did not earn it by working. Henry had an idea, and it proved to be a wonderful one! He began to look around to find ropes and straps. Before long he had made a harness. The dog did not mind when Henry put the harness on him and hitched him to the handcart. He acted as if he had pulled carts before. The next day the dog helped pull the cart. Now the large greyhound was considered a helper, not a pet, so he was allowed to stay. Henry Tempest and the boys divided their food from the cart with the dog. How they loved the big greyhound! Day after day, whether the sun was hot or whether the wind blew, the dog helped. In fact, he pulled the handcart most of the way, hundreds of miles across the Plains. Henry was blessed with strength to walk along with his boys. After nearly three months of walking and pulling the cart, they arrived in Salt Lake City. How happy they were to get to the place where they could start to build a home! A few days after they arrived, the big greyhound disappeared and was never seen again. It is through dramatic productions (live drama, theater, and motion pictures) that we learn to "see things as they really are." We can vicariously experience life in another time or another place. Brigham Young said, "If I had a group of people in a wilderness that I wanted to civilize, the first thing I would do is build a theater (for live drama, not for motion pictures). And that is exactly what the Mormons did. In Salt Lake City, before the Temple, the Tabernacle, and the Assembly Hall were completed by the pioneers, a theater was built to "civilize" the people that had come through the wilderness. Indeed, it is in the Temples of the Church that we can vicariously experience eternity. Another powerful example of how we can see or experience things as "they really are" (or were), see my review of "Boy In the Stripped Pajamas." Satan also knows the power of drama, TV, and motion pictures to lead mankind by a silken thread or a flaxen cord, "carefully down to Hell." See my One Star Review of 'One Flew Over the Cuckoo's Nest'. The adversary 'takes in' and enslaves GOOD YOUNG PEOPLE in motion pictures like 'One Flew Over the Cuckoos Nest', 'Love Story', and 'Grease'. What those films teach and MOST FIlMS TODAY, is that you must break free from the Ten Commandments, and the Judeo Christian values of parents and grandparents, to be liberated, happy, sophisticated, and popular. After burying a dead grandchild in '17 Miracles,' I died pulling a handcart. Death can be a glorious experience. "If in the pre-existence we looked forward to our life on earth, how much more so must we have looked forward to our mortal death." See all of my Reviews. I write only about books, events, or motion pictures that have changed the course of history or unforgettable books or motion pictures that will totally change peoples lives. I loved this movie.... I hope TC Christensen will continue to make good family entertainment with the struggles that our pioneers went thru. It is always moving when I see a piece of history on the big screen. I love it when it is brought to life. It makes you appreciate the past. THANKS!!! This movie can touch any person's heart. Everyone going through trials should see this movie. It is amazing what the pioneers went through for us to have the Gospel this Latter Days. 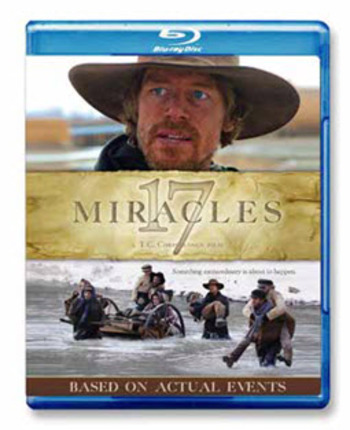 17 Miracles tells the story of returning missionary, Levi Savage, and the perilous journey of the Willie Handcart Company. A large group of Latter-day Saints, anxious to reach the Salt Lake Valley leave a little too late in the year in the hopes that they can hurry their way to Zion. Unfortunately for the ill-fated company they are quickly faced with grave danger as the snows came early and food ran out. So many people perished in their righteous desire to reach Zion but as they traveled the stalwart pioneers were blessed with miracle after miracle. I have only had the movie for less than a week and have watched it over and over. What the Saints had to go through to get to Zion. No one can help but, cry yet the movie truly depicts what they went through. I am thankful for what they gave us even with their lives! A definite must see! This movie could have failed so easily. The crying and weeping could have been carried to excess or could have been poorly acted. The Saints could have been depicted as righteous stick figures. The story could have been poorly written so as to depend only the difficulty of the saga. None of that happened. This was one well thought-out screenplay. There were some few very helpful screen notes to set up the movie, and then it went--and it never lets the viewer down. The ending, like the entire movie itself, was simply stunning. Thanks once again, Brother T.C. This movie was amazing. T.C. did a wonderful job he really knows how to make movies! I have watched this movie 4 times now and am still so touched by it. All of the events that happened really happened and its wonderful to see it as it would of been. The man who played Levi was wonderful his acting was one of the best i have seen in a church film. The saints were always true to the faith and kept moving forward. I look up to everyone of them thank you for making this movie!!!! What a powerful film. The fact that these stories are true just made the film that much more...well...everything. Absolutely loved it..
As a convert of the church for many years I have heard about the stories of the pioneers, seen a parade in Utah while visiting and have known people who have pioneer relatives. However, this movie helped me to truly appreciate what these pioneers and others before them endured that the blessings I enjoy today could be available. My eyes and heart were opened as well as my family's. Simply excellent! This is a great family movie. Great addition to a movie library. Before I saw this movie, I only heard good things about it. Now I know why. 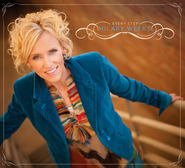 17 Miracles found a positive and powerful approach to sharing the story of the Willie Handcart company. What a great thing to know that it isn't folklore, but history. This movie is worth your while. I was really apprehensive to see this movie because my Great-Great Grandmother Marianne Bird was in the Willey Company and I wanted the movie to be well done. I wasn't disappointed! The story was captivating and the acting was superb. Everyone in the theatre was moved to an almost spiritual state, with total reverence for what we had just seen on the screen. I recommend this movie to everyone, it is not just a religious movie but a powerful example of what is good in mankind and a moving story of endurance and faith! Powerful and beautifully well done movie! One of the most powerful LDS movies I’ve ever seen! I had heard a couple of these stories in conference before but it was wonderful to see them all so well portrayed in film. The power of the faith-promoting miracles and the underlying message that we are never forgotten, that we are always loved, came through very strong. Plus the actors were really good, the cinematography was well done, and the film’s ability to strengthen your faith was wonderful! At the end, I loved Pres. Faust’s reaction to one of the love stories in the handcart company – very tender (for the rest of that story, you’ll have to see the movie). T.C. Christensen is a fantastic filmmaker and like others have said as well, I can’t wait to see what he will do next! A total must-see movie! I wish every Latter-day Saint could own this movie! I saw this movie twice when it was in the theaters. After the first time, I went home and told my family that every member of the Church will want to own this movie! The acting is actually really good and touching. The stories are amazing. And the miracles are inspiring. This movie is epic! I hope T.C. Christensen has more movie ideas...can't wait to see what's next! Long waited for, but so worth the wait! When I saw this movie advertised, I was really interested, and wanted to buy it. 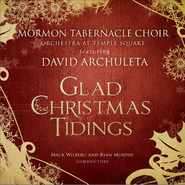 I received an email from Deseret Book, that it would not be available for the New Zealand region! I was so disappointed!! But then I received am email saying that the dvd's would be made for ALL regions!! I was SOOOooo happy! It finally arrived yesterday, and we watched it as a family. It is truely amazing! We were all crying, it was so touching! I really want to buy a copy for other family members as well now! !